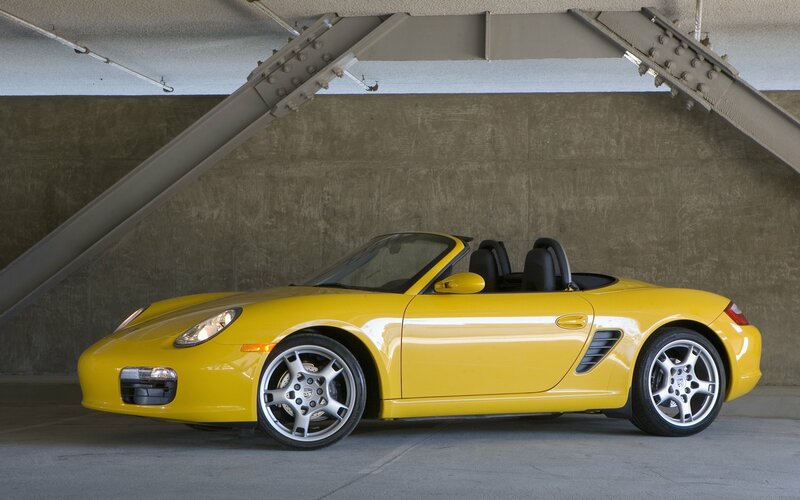 The Porsche Boxster is a mid-engined roadster built by Porsche. 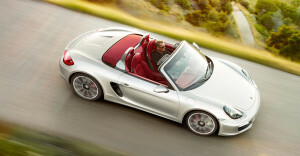 The Boxster is Porsche’s first road vehicle since the Porsche 550 Spyder that was originally designed as a roadster. The first-generation Porsche Boxster (Porsche 986) was introduced in late 1996 as a 1997 model; it was powered by a 2.5 litre flat six-cylinder engine. In 2000, the new Porsche Boxster S variant was introduced with a larger 3.2 litre motor, and the base model received a more powerful 2.7 litre engine. In 2003, styling and engine output was upgraded on both variants. In 2005, Porsche unveiled the new generation of Boxsters (Porsche 987). The Porsche 987 is more powerful than its predecessor and featured styling inspired by the Porsche Carrera GT. 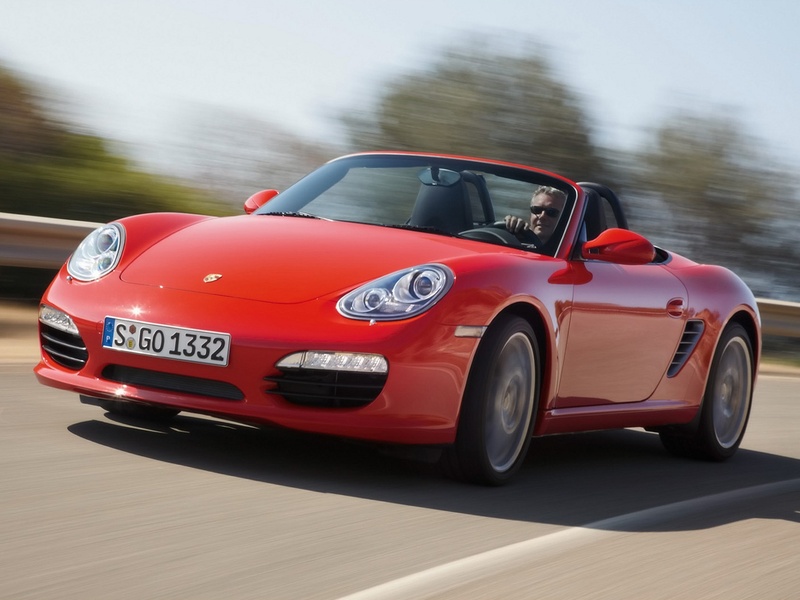 Engine output increased in 2007, when both Porsche Boxster models received the engines from their corresponding Porsche Cayman variants. In 2009, the Porsche Boxster models received several new cosmetic and mechanical upgrades, further increasing engine output and performance. Production of the Porsche 986 began at the former Porsche 928 facility in Stuttgart, Germany in 1996. 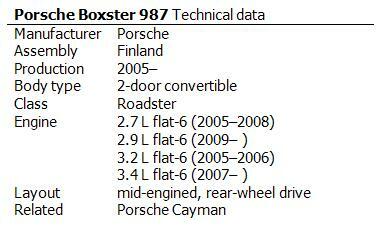 Valmet Automotive also manufactures Boxsters under contract to Porsche at a facility in Uusikaupunki, Finland. 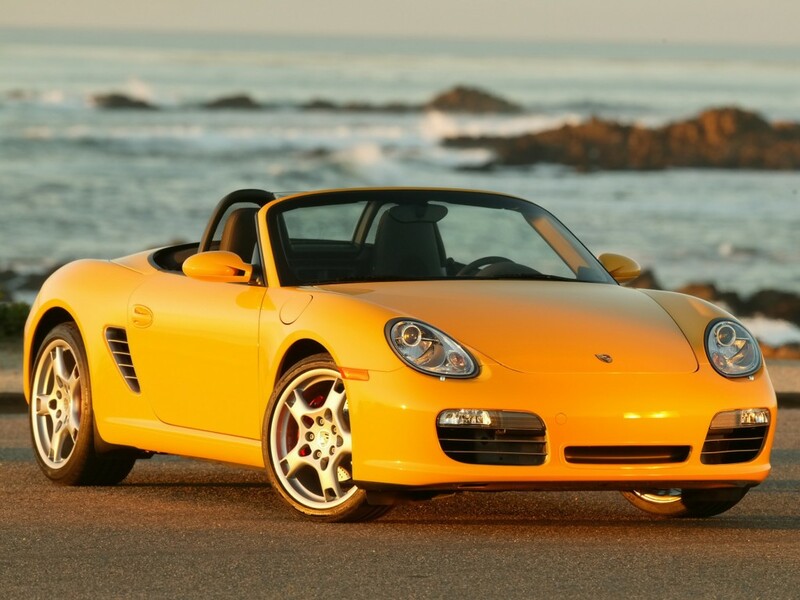 The Porsche Boxster was Porsche’s biggest volume seller from its introduction in model year 1997 until the company introduced the Porsche Cayenne sport utility vehicle in model year 2003. The Porsche Boxster’s name is a portmanteau of the word “boxer”, referring to the vehicle’s horizontally-opposed or “boxer” engine, and the word “roadster”, referring to the vehicle’s two seat capacity and convertible top. Harm Lagaay’s Boxster design study stimulated a commercial turnaround for Porsche after several difficult years of falling sales. The visual appearance of the first generation of the Boxster was heavily inspired by the Porsche 356 Spyder and Speedster as well as the Porsche 550 Spyder. The Porsche Boxster was released ahead of its big brother, the Porsche 911 (Porsche 996). Through consultation with Toyota, Porsche greatly decreased the cost of manufacture, and introduced large-scale sharing of components between its models. 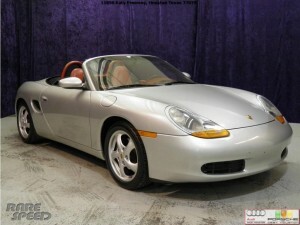 The Porsche 986 Boxster had the same bonnet, front wings, and distinctive ‘fried-egg’ headlight units as the Porsche 996. Its original 2.5L M96 engine shared the same architecture with the 3.4L engine used in the 996. Many believe the combination of the new Porsche Boxster / Porsche 911 styling and the reduced build costs through component sharing saved Porsche from being acquired by another car company. 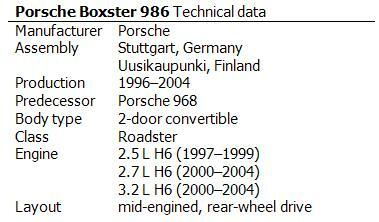 All 986/987 Porsche Boxsters use the M96 water cooled, horizontally opposed (“flat”), six-cylinderengine. The M96 is the first completely water-cooled engine used in a production non-front-engined Porsche. In the Porsche Boxster the M96 is placed in a mid-engine configuration as opposed to the rear-engine placement in all Porsche 911s. The combination of the M96 and a mid-engine layout provide a low center of gravity, smoothness throughout the rev range, near perfect weight distribution, and neutral handling characteristics. Early production M96 engines had a small but significant number of engine failures due to cracked or slipped cylinder liners, but since a minor redesign in 2000 these problems have been resolved. The model received a minor facelift in 2003. The plastic rear window was replaced by a smaller glass window. The interior received a glove compartment, new electro-mechanical hood and trunk release mechanism (with an electronic emergency release in the fuse box panel) and an updated steering wheel. Porsche installed a reworked exhaust pipe and air intake. In addition, the often disliked amber “fried egg” front indicators were replaced with clear indicators. The rear light cluster was also changed with translucent grey turn signals replacing the amber ones. The side marker lights on the front wings were changed as well from amber to clear, except on American market cars where they remained amber. The bumpers were also changed slightly for a more defined, chiselled appearance, and new wheel designs were made available. 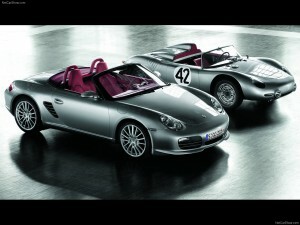 In 2004 the Porsche Boxster 550 Spyder 50th Anniversary Edition was released, with a production run of just 1953 cars. These were all painted GT Silver Metallic, the same color as the car-show version of the Porsche Carrera GT supercar, and had unique cocoa-brown full-leather interior as standard with grey natural leather as a no-cost option. Each car also had special interior paintwork, a high-end BOSE sound system, two-tone grey and silver 18″ Carrera wheels (unpainted as another zero-cost option), 5 mm (0.2 in) wheel spacers, the Porsche Boxster S sport exhaust, the M030 option sports suspension, and a plate on the center console piece commonly known as the “batwing” showing the production number. Only on the American market cars were the rear turn signals red rather than clear. The second generation of the Porsche Boxster (internally known as the Porsche 987) made its debut at the 2004 Paris Motor Show alongside the new Porsche 911 (Porsche 997). The car became available for model year 2005. 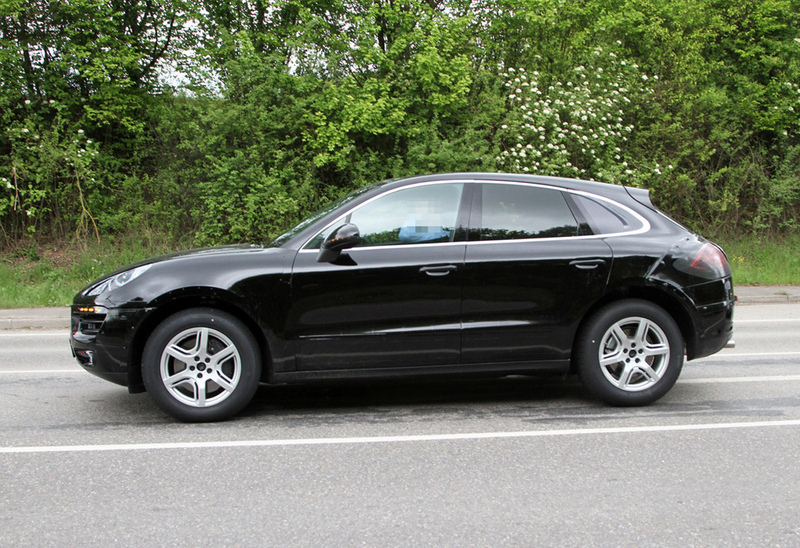 In appearance the car remains very similar to the previous generation. The most obvious styling change is to the headlights, which now have a profile similar to those of the Porsche Carrera GT, Porsche’s mid-engined supercar. The intake vents on the sides of the Porsche Boxster are now larger, with more pronounced horizontal slats and are coloured metallic silver, irrespective of the paint colour on the rest of the car. The wheel arches have been enlarged to allow wheels up to 19 inches in diameter, a first for the Porsche Boxster series. The most significant updates from the Porsche 986 series are in the interior, with a more prominent circular theme evident in the instrument cluster and cooling vents. Porsche claims that the 987 Boxster shares only 20% of its components with its predecessor, despite their being almost identical from the outside. 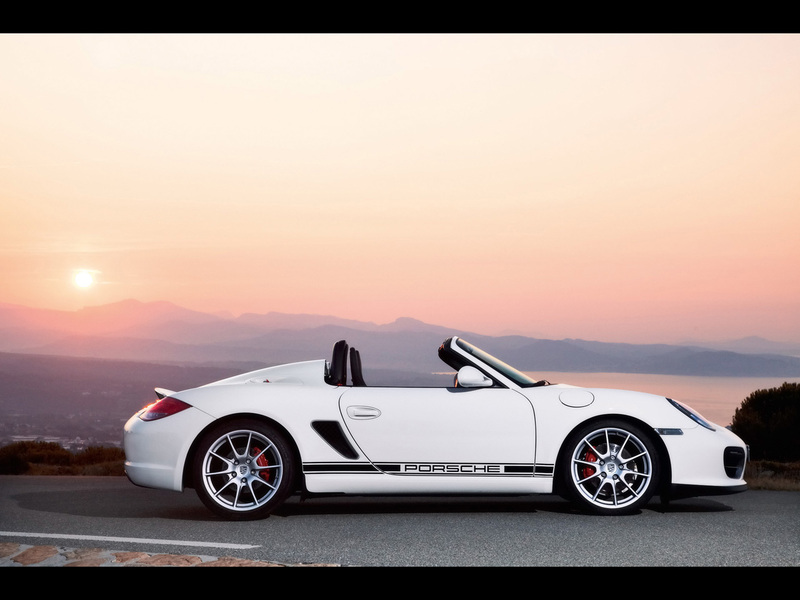 The base engine is a 2.7 L 176 kW (240 hp) flat-6, with the Porsche Boxster S getting a 3.2 L 206 kW (280 hp) engine. The Porsche Cayman series is derived from the Porsche 987. 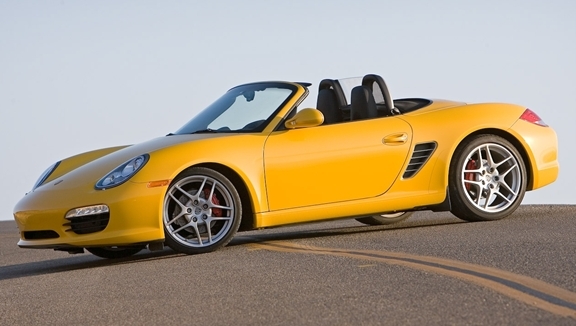 For the 2007 model year the base Porsche Boxster received a revised engine featuring VarioCam Plus to provide a 5 hp (3.7 kW) boost (245 hp (183 kW) the same as the Porsche Cayman). The Porsche Boxster S engine was upgraded from 3.2L to 3.4L, resulting in the production of 15 hp (11 kW) more (295 hp (220 kW) the same as the Porsche Cayman S). 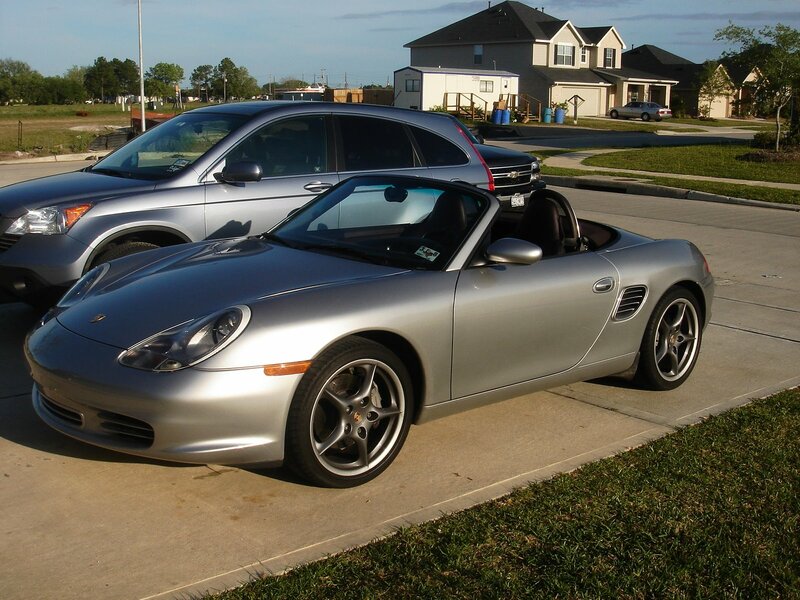 These upgrades made the Boxster series and the Porsche Cayman series equivalent in terms of power. Porsche first revealed the face-lifted 2009 Porsche Boxster and Boxster S models at the Los Angeles International Auto Show in November 2008. Both models feature greater power due to an increase in engine displacement for the Porsche Boxster and the incorporation of Direct Fuel Injection (DFI) for the Porsche Boxster S. Both models are now available with Porsche’s new 7-speed Porsche Doppelkupplungsgetriebe (PDK) dual clutch gearbox but come standard with a new 6-speed manual gearbox. Displacement in the standard Boxster’s flat-six engine increased from 2.7 to 2.9 liters, increasing power from 245 hp (183 kW) to 255 hp (190 kW). Use of DFI in the Boxster S raised the output of the 3.4 liter engine from 295 hp (220 kW) to 310 hp (230 kW). Cosmetic changes to the 2009 Porsche Boxster and Boxster S include new head and tail lights, larger front air intakes with incorporated day time running lights, and an altered lower rear end flanked by twin diffusers. The interior includes the redesigned Porsche Communication Management System as an option with a touchscreen interface to reduce button clutter. In November 2007, Porsche announced a commemorative Porsche Boxster RS60 Spyder edition to celebrate Porsche’s 1960 win in the 12 Hours of Sebring in Florida. Only 1960 units in this series are to be produced worldwide, with approximately 800 slated for the U.S. with each model bearing a numbered production badge on the dash. The Porsche Boxster RS60 Spyder comes in only GT Silver Metallic while the standard interior is Carrera Red leather, with dark gray leather as an option. The orsche Boxster RS60 Spyder comes standard with 19 inch SportDesign alloy wheels, Porsche’s Active Suspension Management System, and a sports exhaust that boosts the engine output to 303 PS (223 kW; 299 hp) . The base price for the orsche Boxster RS60 Spyder was US$64,900. 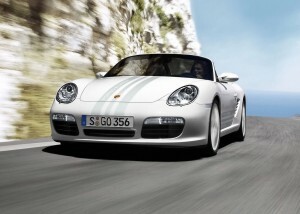 Porsche also produced a limited Porsche Boxster S Porsche Design Edition 2 that debuted in October 2008 as 2009 model. It featured freer-flowing exhaust, which raised power from 295 PS (217 kW; 291 hp) at 6250 rpm to 303 PS (223 kW; 299 hp) at an identical 6250 rpm. It came in a unified Carrara White paint scheme with matching white 19-inch wheels, a black and grey interior with white gauges, red taillights and light grey stripes along the entire body. 500 were made for the worldwide market, 32 shipped into the U.S. and 18 into Canada. The base price for the Porsche Boxster S Porsche Design Edition 2 was US$66,900. 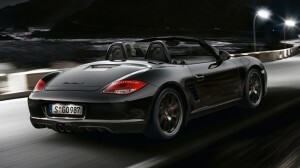 In 2012 Porsche unveiled the Porsche Boxster S Black Edition, which is limited to just 987 units worldwide. Exterior highlights of the car include model lettering painted in black on the rear luggage compartment lid and embossed Black Edition model designation on the side of the fabric hood. The black color is also present on the roll-over bars, rear side air intake grilles and the twin tailpipe. Inside, the car gets the standard, three-spoke Sport Design steering wheel with a black leather rim, the trim strips of the dashboard and of the gear shift lever or PDK selector are painted in black. The dials on the instrument cluster are black, as are the partial leather seats with the Porsche emblem embossed in the headrests. This increase in output and power equals more dynamics, and the Boxster S Black Edition underpins its leading position with a superior driving performance. With its standard six–speed manual transmission, itaccelerates from 0-62 mph in 5.2 seconds, a tenth of a second faster than the Boxster S. This extra performance has not been achieved at the expense of fuel economy, however, for the Boxster S Black Edition contents itself with as much fuel as the Boxster S: 28.8 mpg Combined (NEDC). On November 5, 2009, Porsche officially announced the creation of a new production Porsche Boxster which was officially unveiled at the 2009 Los Angeles Motor Show. To be positioned above the Porsche Boxster S, the Porsche Boxster Spyder was lightest Porsche on the market, weighing 2,811 pounds (1,275 kg), a full 176 pounds (80 kg) lighter than a Porsche Boxster S. This has been achieved through the elimination of the conventional soft top’s operating mechanism, the radio/PCM unit, air conditioning, storage compartments, door handles, cupholders and large LED light modules on the front fascia, although some of these can be re-added to the car in the form of options. The vehicle ride on a firmer suspension than the other Porsche Boxster models, and was almost one inch lower in order to have firmer handling. A manually-operated canvas top, sports bucket seats and two signature humps running along the back of the vehicle provide characteristic design elements. It offer a six-cylinder boxer engine with 320 horsepower (239 kW; 324 PS) and 273 lb·ft (370 N·m) of torque (a 10 hp (7.5 kW) increase over the engine in the Porsche Boxster S and the same engine used in the related Porsche Cayman S), with manual transmission as standard and Porsche’s PDK dual-clutch gearbox as an option. 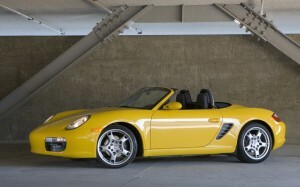 The Porsche Boxster Spyder production started in February 2010 as a 2011 model with a base price of US$61,200. 2012 Porsche Boxster still recognisably a Boxster, but the headlights are now more vertically stacked, the doors are scalloped to flow into the bigger side intakes, a strong crease runs between the tail lamps and integrates with the pop-up rear spoiler, and every line and angle is just a little bit sharper and more dynamic. The Porschephiles amongst you would have also spotted that the folding fabric roof no longer has a panel to drop behind; instead the roof itself now doubles as the cover when the hood is stowed. A lower weight (reckon on a 30-50kg saving), standard stop/start technology, new electo-mechanical steering, and thermal management for the direct injection engines help make the new Boxster up to 15% more fuel efficient than before. A six-speed manual transmission is standard (the Boxster doesn’t get the 911’s seven-speed stick shift), and a seven-speed double-clutch PDK gearbox is an option. The Sport Chrono Package (with active engine mounts) and Porsche Torque Vectoring (PTV) with a mechanical rear diff are also optional extras. A basic Boxster comes with an Alcantara-trimmed interior, 18in wheels, Porsche’s 7in PCM multimedia system, MP3 connectivity, a Sport button, and electric operation for the roof. Besides more power and torque, the Boxster S has 19in wheels, twin exhausts, bi-xenon lights and and a ‘partial’ leather interior. Could the designer of this site email me the place to get the template very cool blog.